A family from the Dolgellau area have asked for an urgent meeting with the leader of Gwynedd council leader in an effort to prevent cuts to the county’s language centres. 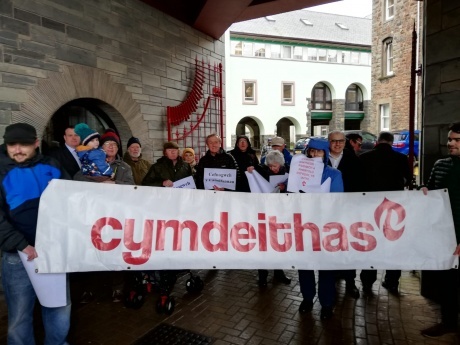 Language groups are organising a protest against the cuts to the centres on Saturday 30th March on the Maes in Caernarfon and Annest Smith will be one of the speakers. Gwynedd Council’s cabinet is expected to make a final decision about the fate of the centres on Tuesday 2nd April.